For my last spring break ever (eek! 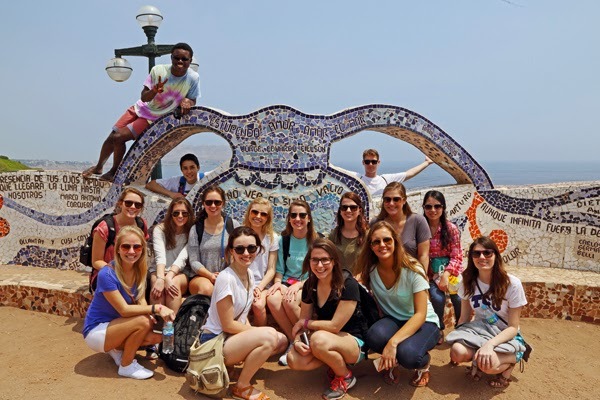 ), I traveled to the beautiful country of Peru with an international marketing class through TCU’s Neeley School of Business. Eighteen of my peers and two of my professors and I ventured through four towns in nine days and saw incredible sights that took my breath away and renewed within me a sense of gratitude and awe at the beautiful world that we live in. For the past few months, I’ve felt like I was missing something – I just wasn’t sure what it was. But now I know that this trip gave me exactly what I missing: refreshed eyes, a new way to look at the world, an awakened passion, and a big dose of healthy perspective on my life and humanity in general. 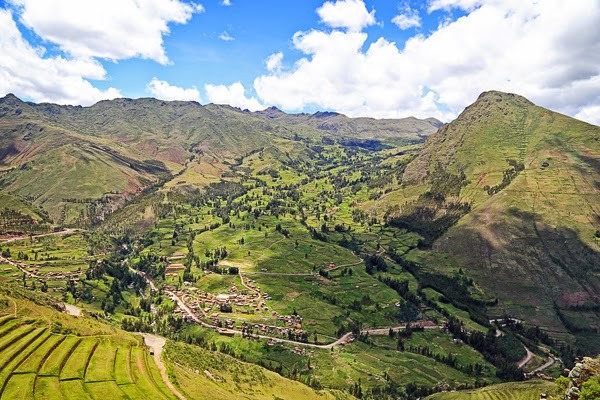 Overall, Peru is not a wealthy country. This fact was glaringly evident through all of our travels in the mountains. The rural villages we passed were filled with dilapidated houses that looked abandoned and ready to fall over with the slightest tremor, but were still inhabited by (often large) families. Even in the big cities, most of the buildings were in disrepair and looked worn. Rusted and dented cars were a common sight on the roads – I think I saw only one “expensive” car my whole time in Peru – a Mercedes – and it was on our last day, as we entered the airport to board our flight back to the United States. Buses and cars were filled beyond capacity with people sitting uncomfortably on laps and in trunks. On the streets, beggars were a common sight, and children that looked as young as five or six peddled their modest wares of bubblegum or hard candies as well as they could to passing tourists. Stray, ragged-looking dogs wandered through the streets, intermingling with people. Most of the roads we drove on were made of cobblestone or old packed dirt, and were often bumpy and full of potholes. But despite the obvious poverty surrounding us, the general feeling of the Peruvian people was one of joy and contentment. They didn’t have much, but it didn’t matter. Many of the dirty children running around the dirt roads of rural towns shrieked joyously, smiling and having the time of their lives. Laughter rang through the streets as people talked and joked with their peers. All of my interactions with Peruvian adults were full of smiles and genuine kindness, even though I was a glaring outsider and there was a sizable language barrier. Every Peruvian that I talked to was incredibly gracious and offered me a refreshing glance at the innate kindness that I know all humanity is capable of. One of my most memorable observations in Peru was the blatant contrast between modern society and traditional culture. 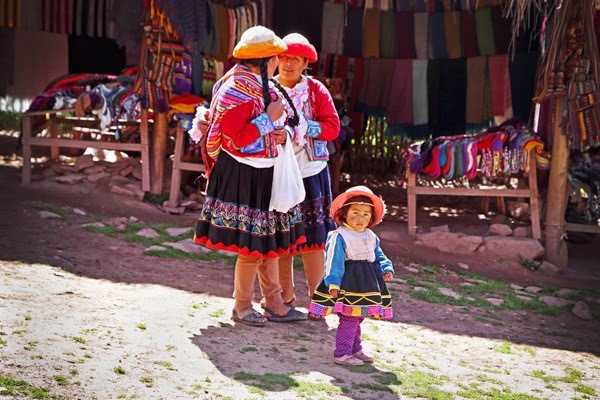 On the streets of Cusco, women in traditional skirts and hats carried their babies bundled on their backs in beautiful hand-woven blankets among the hustle and bustle of people passing by with headphones in their ears, listening to music on their smartphones. 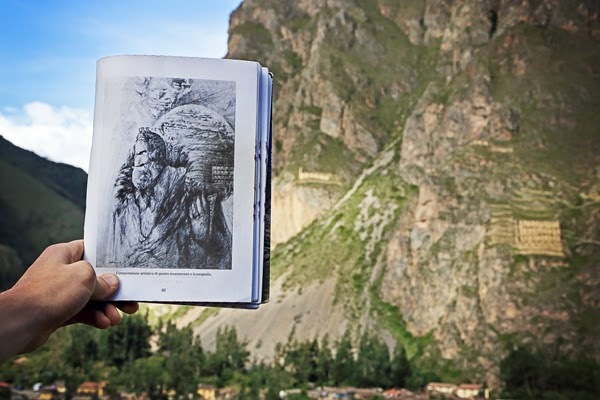 The Peruvians are proudly unashamed of their culture, and up to half of the populations in some of the cities we stayed in still maintained the Incan language of Quechua. In the rural towns, traditional homes made of adobe clay were nestled next to convenience stores adorned with neon lights and “Free Wi-Fi” signs. My experience with Peruvian Wi-Fi was inconsistent and unreliable, but I found the break from a constant technological connection incredibly refreshing and very welcome. I had been trying for weeks to “unplug and disconnect,” but had found it incredibly difficult because of the constant temptation in the States. In Peru, I had no choice. Instead of staring into my phone, I had a chance to make genuine connections with all of the people on the trip, and it rejuvenated my soul in a way that I haven’t felt in a long time. I took hundreds of photos, but I also took a moment to be present in the moment and enjoy the view from my own eyes – not just through the screen of my iPhone or through the viewfinder of my camera. Bus rides through the countryside were long and sometimes arduous, but were always aesthetically enjoyable. It was only in the moments that I felt too tired to keep my eyes open or that I was too busy laughing and talking with my peers that I didn’t make the most of soaking up the natural beauty passing by the windows. Back in the US, I feel unbelievably lucky with all that I have. Things that I took for granted before – consistent access to clean water, safely maintained roads, completed construction, and more – are now invaluable luxuries that I appreciate beyond compare. In the past few months, money has been a big concern for me as I approach graduation. I worried about finding a job, keeping a job, and making enough money at a job. I wanted to be happy, and having enough money was a big factor in what I thought would make me happy. I had money, but I worried about getting more money to maintain the lifestyle that I was so used to. I wanted to be able to afford “nice” (but not necessarily the “nicest”) things, but my Peruvian experience reaffirmed the fact that it’s not about the tangible things in your life – it’s about the people and the experiences. I spent a fair amount of money on my trip, but the experiences and the lessons I have learned from Peru’s history, people, and culture are invaluable – there is absolutely no way to quantify the value of what I have taken away from this trip in my heart, my mind, and my soul. 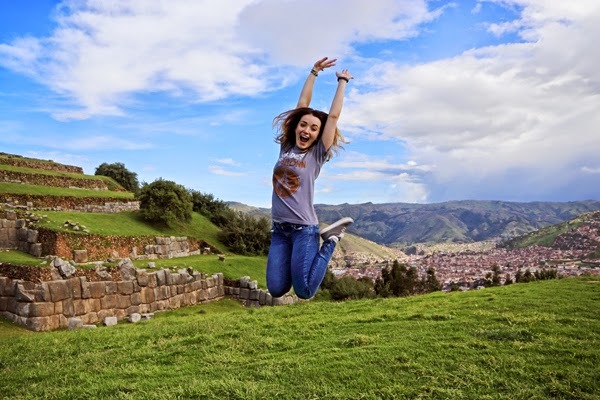 Here’s to you, Peru – thank you for opening my eyes, renewing my perspective on the world, and refreshing my joie de vivre at absolutely the best possible time. Te adoro y yo volvere.